← Once You Achieve Weight Loss Success, You Can Have A Cheat! I used to eat cereal. It tastes good, it is fast and easy. It can sit in your closet forever. The labels say that they are good for you. I never lost weight eating it, in fact, I gained. So, is Cereal good for a diet? No. 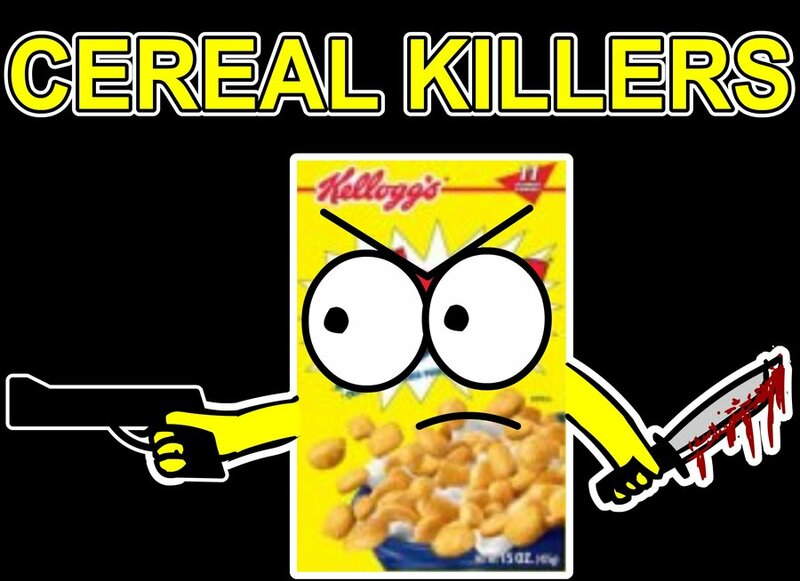 They are a killer. You are eating plenty of carbs and then, don’t forget that milk is also added and that adds even more calories and carbs. 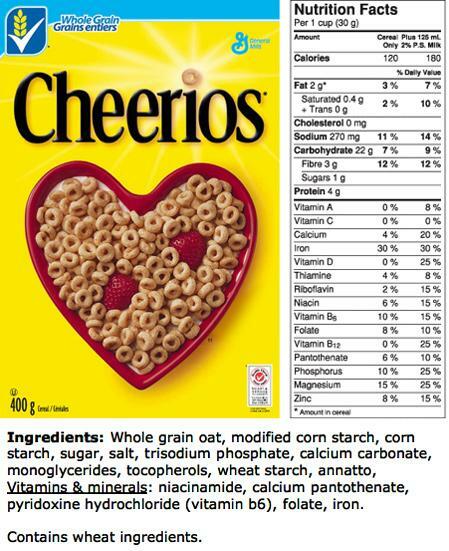 P.S.–Cheerios are genetically modified in the United States and they are not natural and not good for you! Many of these cereals are GM. Look for organic or go to a store with more organic choices. The ingredients are mostly oat, CORN starch, sugar and salt. Notice very little is good! There are 22g of carbs PER cup. Have you ever looked at the size of a measuring cup? Most people would pour way more than a CUP of cereal into their bowl. So, if they have two cups, that is 44g of carbs (Honey Nut would be about 60g). It is made from stripped wheat (which has very little nutritional benefit), sugar and salt and then they spray some chemicals and some vitamins on it. It has a little bit of fiber and a little bit of protein. For the same amount of protein, you could have an egg or two and there is less than one carb per egg. You are better off with just about any protein than cereal. You are adding milk too. And if you don’t use skimmed milk, you are getting a lot of sugar once again and carbs. A cup, or 8 oz., of skim milk is packed with 8.7 g of protein, 12.3 g of carbohydrates and 349 mg of calcium. Skim milk also has 419 mg of potassium, only 5 mg of cholesterol, 130 mg of sodium, 80 calories, and 0 g of fat. So, if you just have to have cereal, then have only one cup of cereal (doubt you can just eat one cup) and then you add milk, you are looking at about 30-40g of carbs just for your breakfast. If you switch to Almond Milk, Unsweetened, that is only 2g of carbs per cup. So, if you MUST have cereal, then make sure you use a measuring cup and try almond milk. My husband loves Trader Joe’s Unsweetened Vanilla Almond Milk. And then count your carbs the rest of the day and be mindful of keeping them in the range of 50 to 100g of carbs in order to stay thin and lose weight. P.S. Oatmeal can be very carby too and has the same effect with added milk, so be mindful of having it rarely in the week and be mindful of serving size. Also, if you are going to have cereal or oatmeal in the day, make sure it is ORGANIC and HEALTHY, and have it only in the AM, so that it fills you up enough not to be too hungry at lunch and overeat and so you have time to burn it off. Eating it at night is NOT a good idea for a diet. No time to burn it off and your feeling of fullness is not as necessary as at lunch and dinner time.